When talking with families who are caring for older adults, we hear a lot about caregiver guilt, stress, and angst. Many of these negative feelings are caused by misguided, but common, beliefs that we impose upon ourselves. We explain how these myths influence our thinking and add to our stress as well as why they’re simply not true. 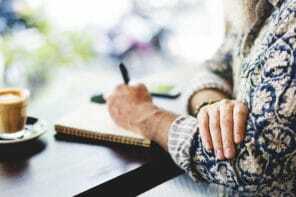 What we tell ourselves: I’ve got to care for my older adult during every second that I’m not doing something else mandatory – going to work, caring for kids, etc. I should always do more, work harder, and spend more time with them. Truth: The care that you’re providing is wonderful and is the best that you can do. Don’t destroy yourself to provide an “ideal” level of care that most likely isn’t realistic. To be a great caregiver and not suffer life-threatening consequences, you need to balance your own needs with that of your older adult. If they need more care than you alone can provide, get help from your caregiving team and don’t feel guilty about taking time for self-care. What we tell ourselves: If I was a really great caregiver, my older adult would keep getting better, physically and mentally. Truth: Yes, there are situations where older adults can make some physical or mental improvements. But continuous improvement typically isn’t realistic simply because they’re aging. Also, many seniors have serious progressive health conditions. These are things that no amount of care can stop or reverse. What we tell ourselves: Things aren’t going well right now. It’s because of that choice I had to make. I made the wrong choice and this is all my fault. I should have known better. Truth: Nobody can see into the future and know what will happen because of choices they had to make. You made a decision based on what you knew at the time and made the best choice you could. If things don’t turn out well, please don’t beat yourself up for not being able to see into the future. The most you can do to avoid a regrettable decision is to learn as much as you can and try to prepare for what might come. A great way to learn from experience is from a caregiver support group. That’s where you can get valuable advice from people who have been there and done that. It’s important to do research and try to prepare, but remember that you can’t plan for everything or predict the outcome of major decisions. Regularly remind yourself that you’re doing your best and that nobody can control everything or know the future. I’m so glad this was helpful. 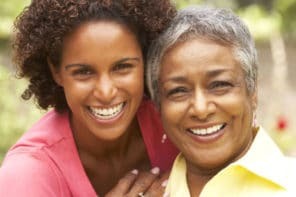 It’s such a tough decision to make, but often when you reach that point, moving to assisted living is the most realistic choice and will keep both you and your mom as healthy as possible.